Dr. Karen Starr is an educator, researcher, and leader in the field of education governance and business at Australia’s Deakin University. A top expert in education development and experienced professional speaker, Professor Starr has established strong national and international links and partnerships with governments, professional associations, schools and the education profession. 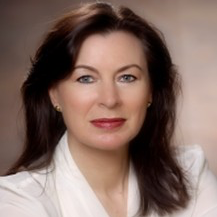 Professor Karen Starr, PhD is the Inaugural Chair, School Development and Leadership at Deakin University, Australia. Prior to this she was a school Principal for fifteen years, was Chief Writer of South Australia’s Curriculum, Standards and Accountability Framework (SACSA) for all South Australian schools and pre-schools, and in 2004 was awarded the National Telstra Business Women’s Award for the not-for-profit sector. Karen recently developed the Graduate Certificate, Education Business Leadership for Deakin University – the first course in Education Business Leadership in Australia. In 2015, Karen and the Education Business Leadership team won the Vice Chancellor’s Award for Teaching Excellence and in 2017 Karen was named Educator of the Year by the Australian Council for Education Leaders (the Hedley Beare Award – Victorian chapter). Karen is a Fellow of the Australian Institute of Company Directors, the Australian Council for Educational Leaders, and the Australian College of Educators. Karen receives regular invitations from around the world to speak about educational leadership and business. Her book “Above and beyond the bottom line: The extraordinary evolution of the education business manager” (2012) was published by ACER Press; “Education game changers: Leadership and the consequence of policy paradox” was released in 2015 by Rowman & Littlefield Publishers, USA, and her latest book “Education policy, neoliberalism and leadership practice: A critical analysis” is in press – to be released in 2019.